Happy Friday everyone! I hope your week has been good. I've been sick this last week which hasn't been fun. I blame the switch in weather. It's been really cold this week and apparently we are in for some extra cold this weekend. Boo! 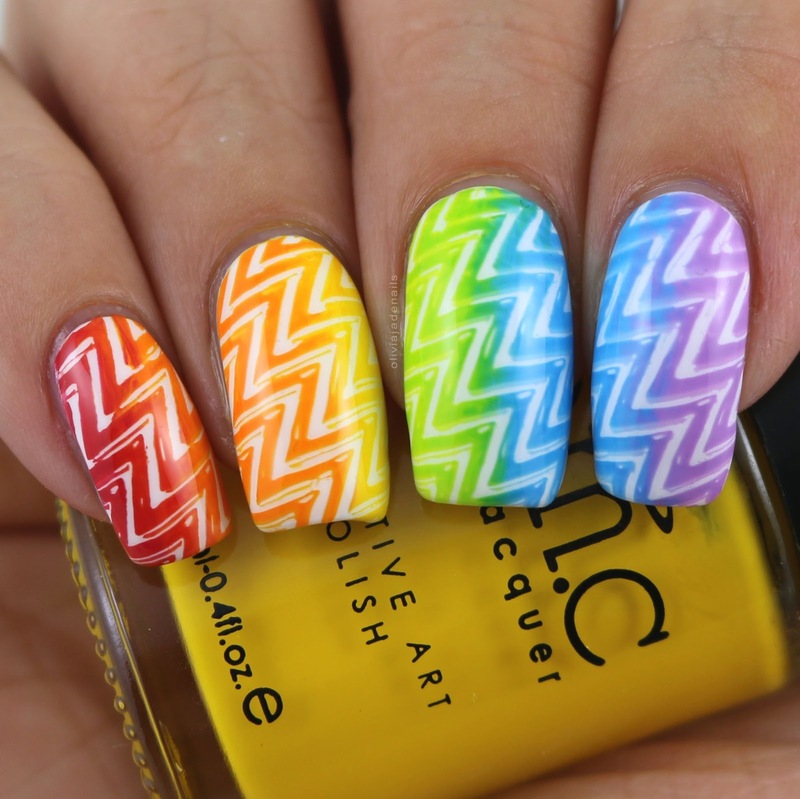 Anyway, today's 26 Great Nail Art Ideas Challenge theme is "Rainbow With A Technique Starting With S". Naturally I have gone with stamping in rainbow colours. For this mani I used Color Club French Tips and stamped using Bundle Monster's Quasar, TeePee Tipping, E-Tronica, Opus One, Astronomical and Monarch Dream. This mani is a bit of a fail but I didn't have the energy to re do it so I do apologize. Hopefully I will be back to my regular stamping self for the next theme. Thank you. I know I can do better than this so that is probably why I am being hard on myself.